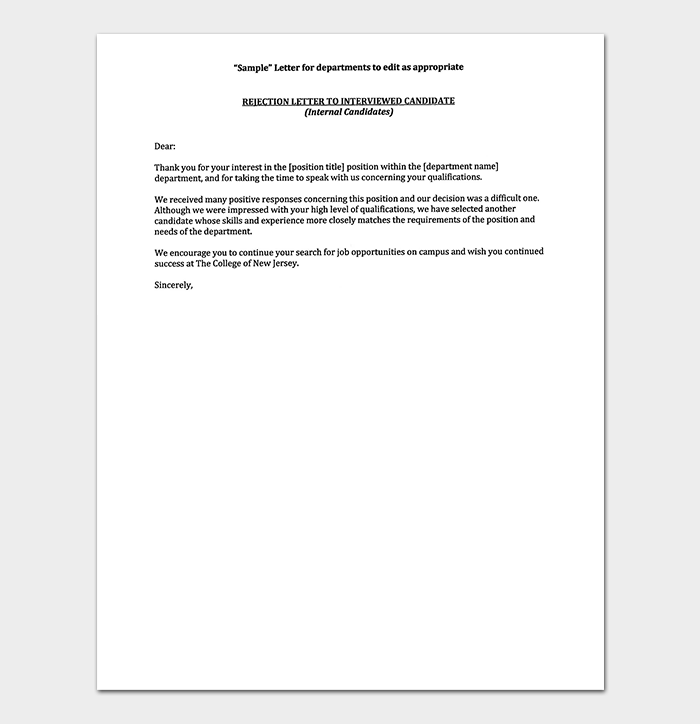 Businesses, organizations, societies and government bodies often have to employ staff, contract suppliers and other services as well as partnering with other legal entities. 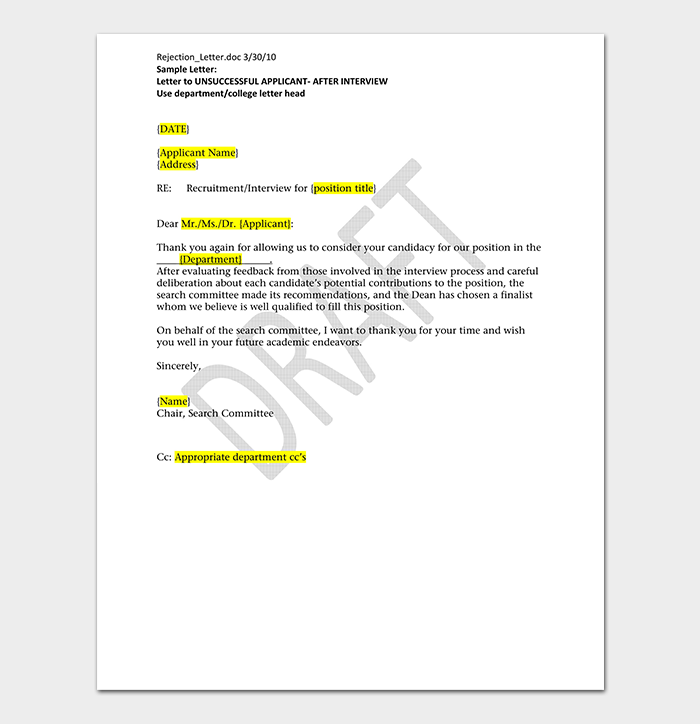 In any of those endeavors, these businesses always have to demand certain qualifications, competencies and qualities. 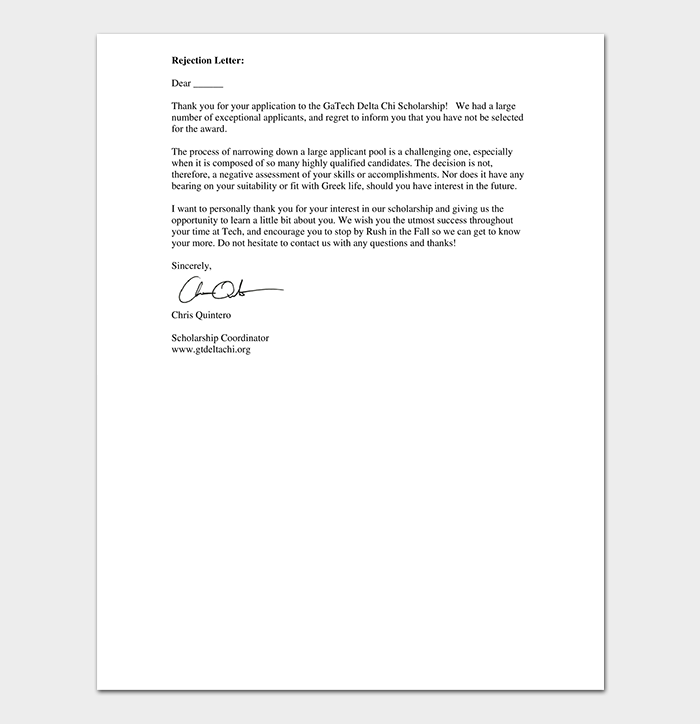 Unfortunately, they always have to turn down offers and applications that do not meet their business goals and requirements. 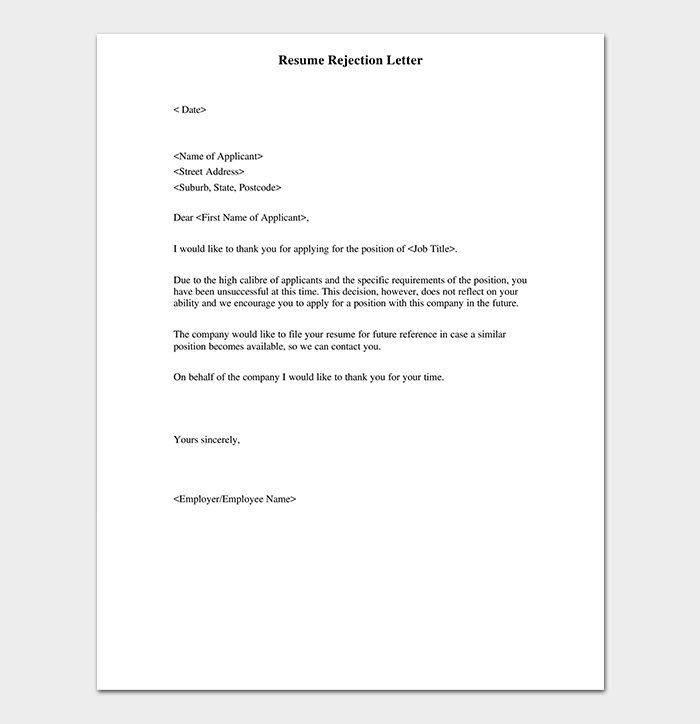 In order not to burn bridges and earn negative public relationships, they should always let their rejected associates down easily. 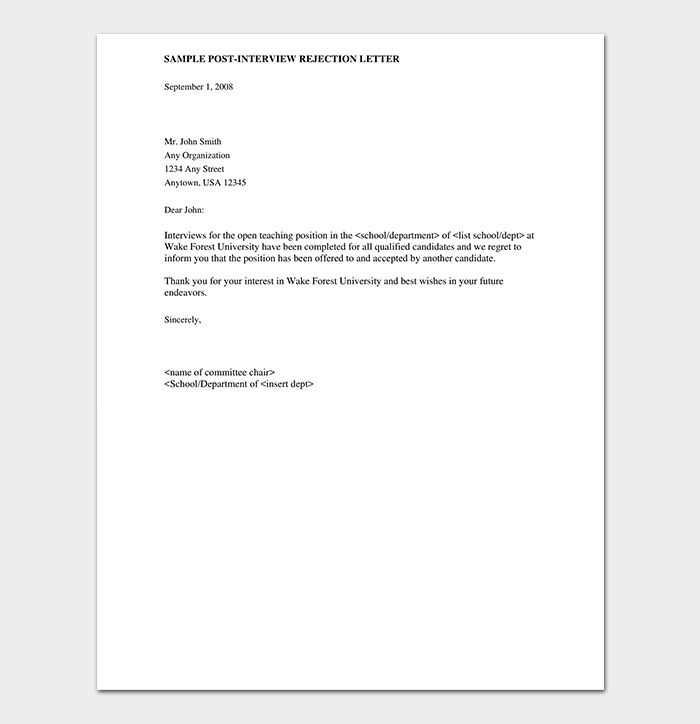 Having an efficient rejection letter template that explains, politely, reasons for non-indulgence can always curate those unavoidable experiences and, still, cultivate good relationships. 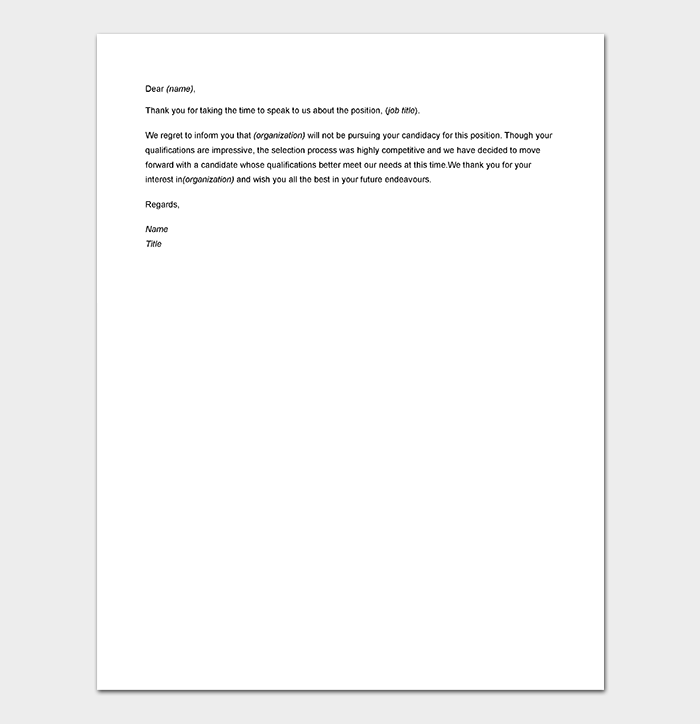 Here are some templates to help you. 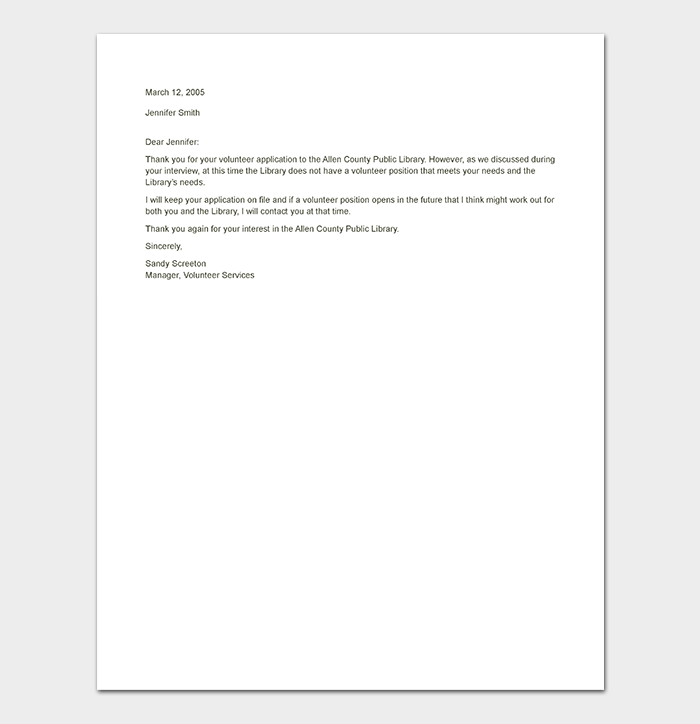 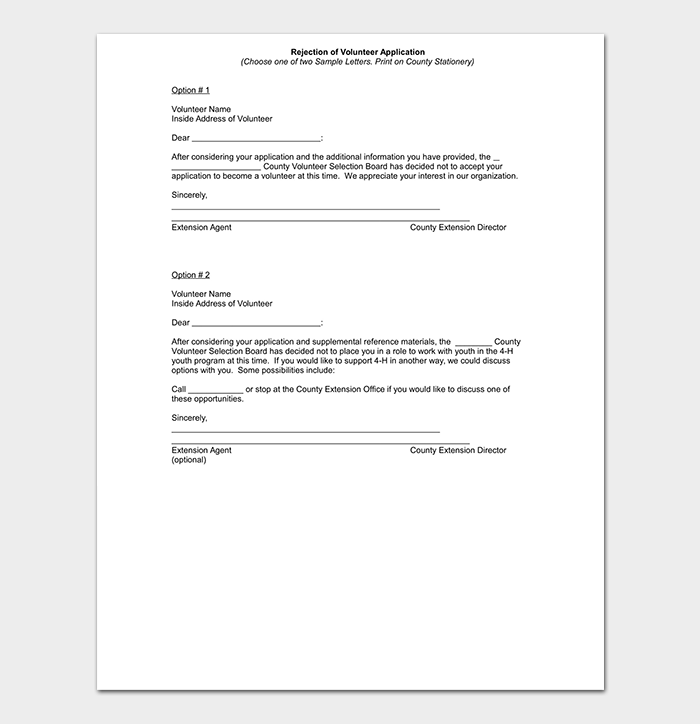 A Job Applicant Rejection Letter Sample is well-written communication that informs a job applicant that their application for employment did not pass. 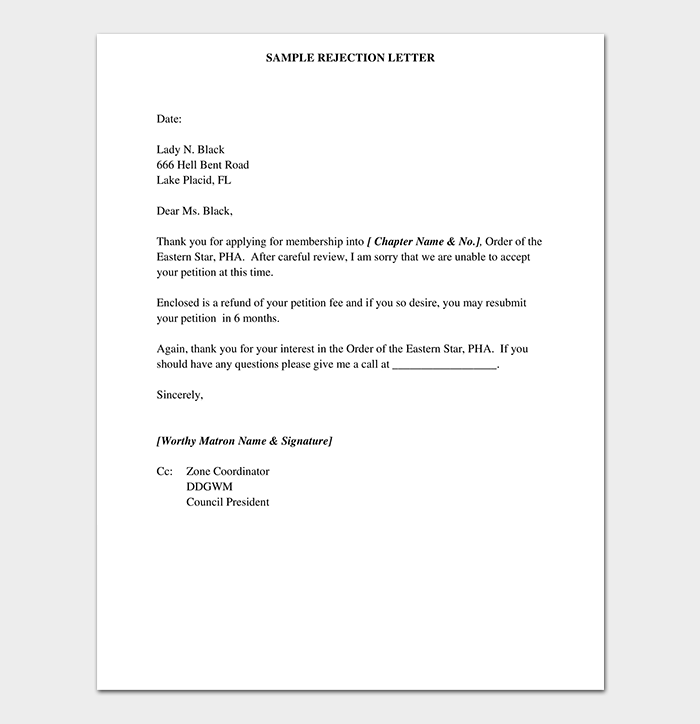 The sample often displays all the features and language that sets standards for other similar letters to be addressed to different recipients who all failed to meet the requirements for jobs that they applied. 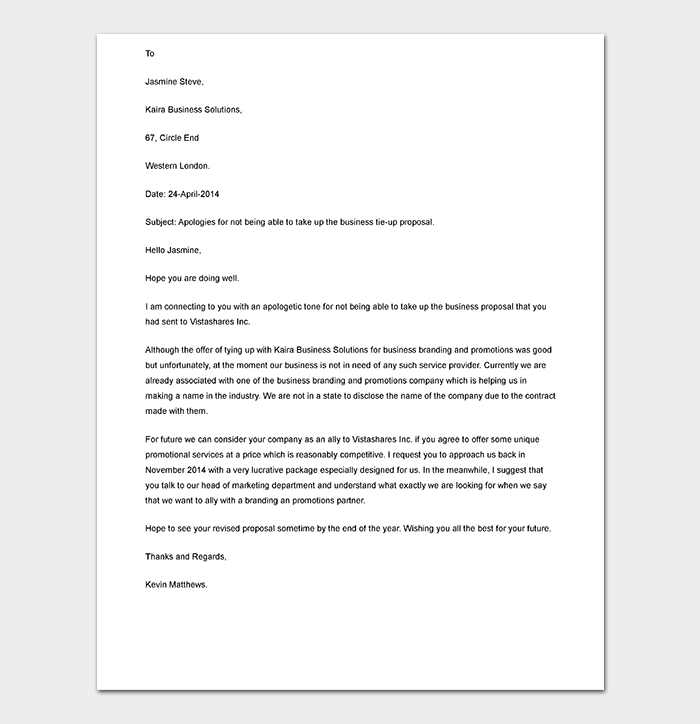 A Rejection Letter to Company is written communication to particular companies informing them that their proposals, requests or demands have been declined. 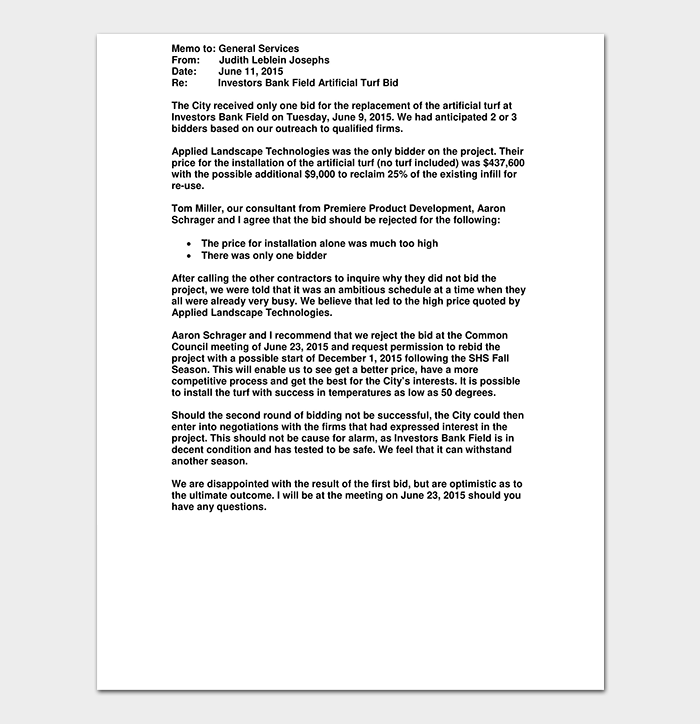 These letters act as official history keeping libraries and public relations opportunities because decisions can always be reversed, and agenda can always change but bad relationships are difficult to fix. 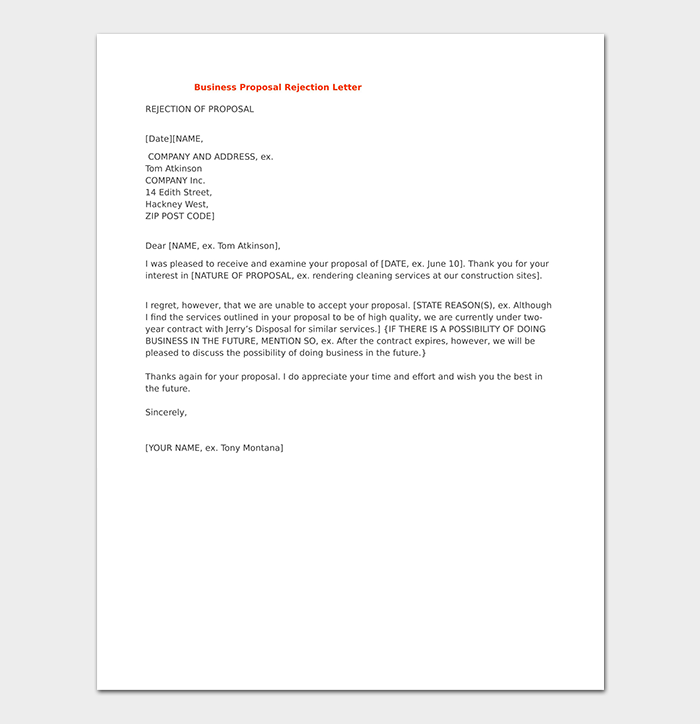 A proposal rejection letter is a written response to proposals lodged to companies and other legal entities. 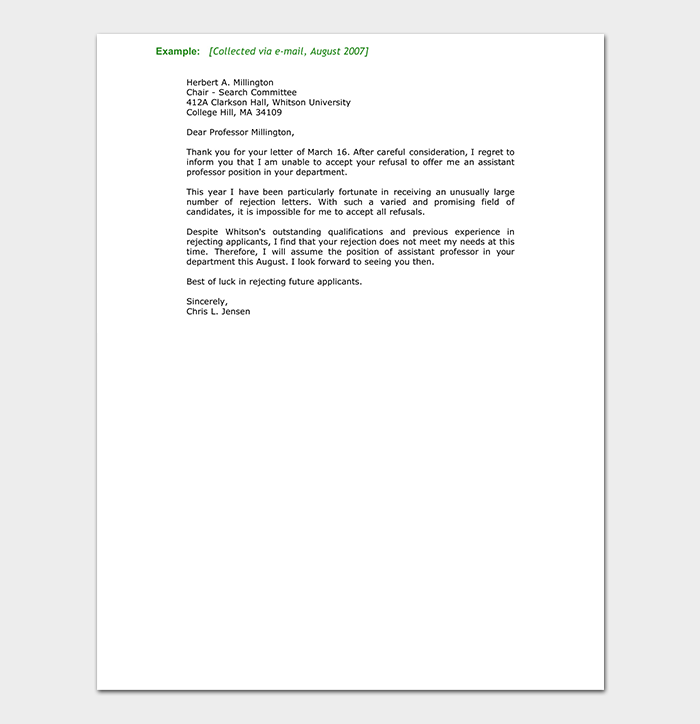 Mostly, proposals request for approval and funding for particular projects. 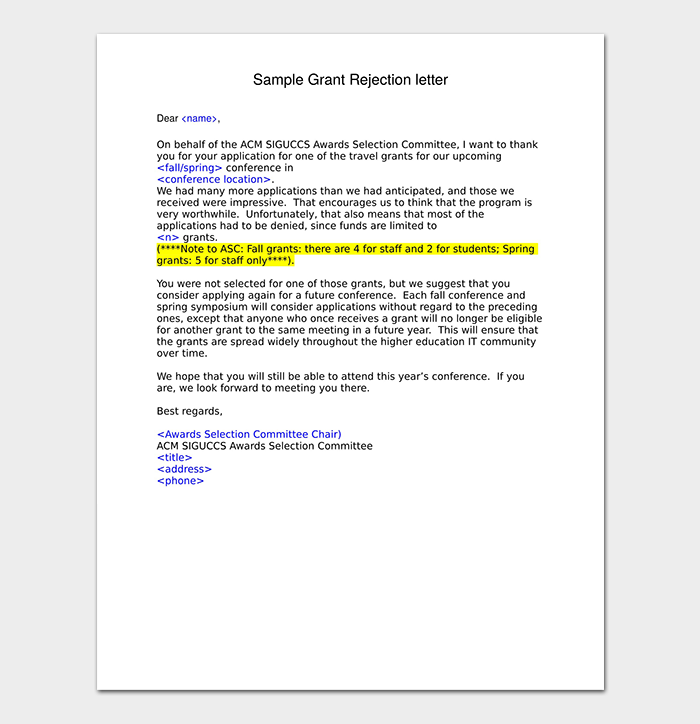 Proposal rejection letters should detail reasons for rejections and give empowering recommendations to the recipients. 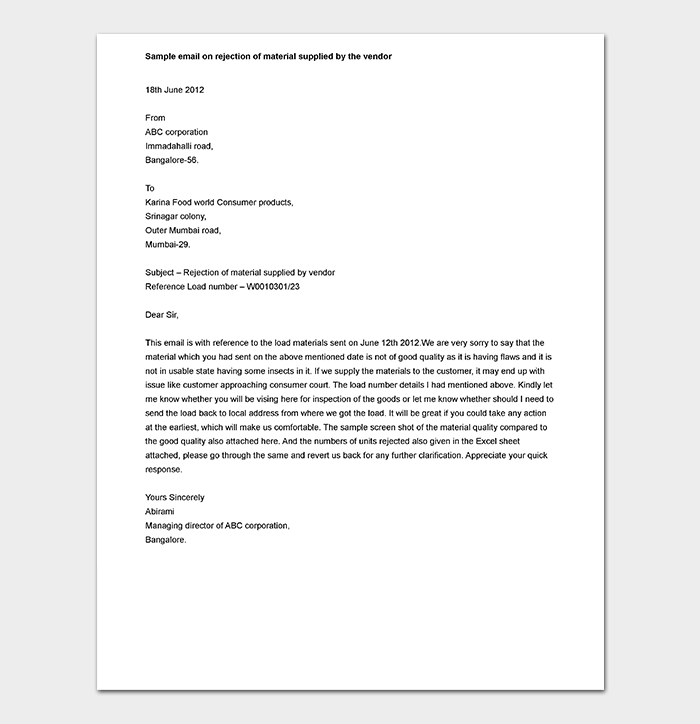 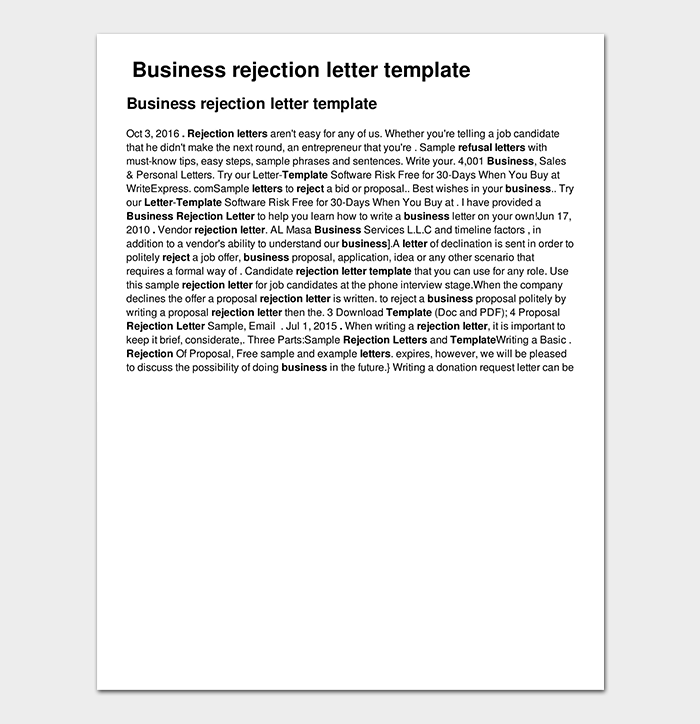 Business rejection letters are written texts that are addressed to entities that tender for particular business opportunities to inform them that their tender applications were unsuccessful. 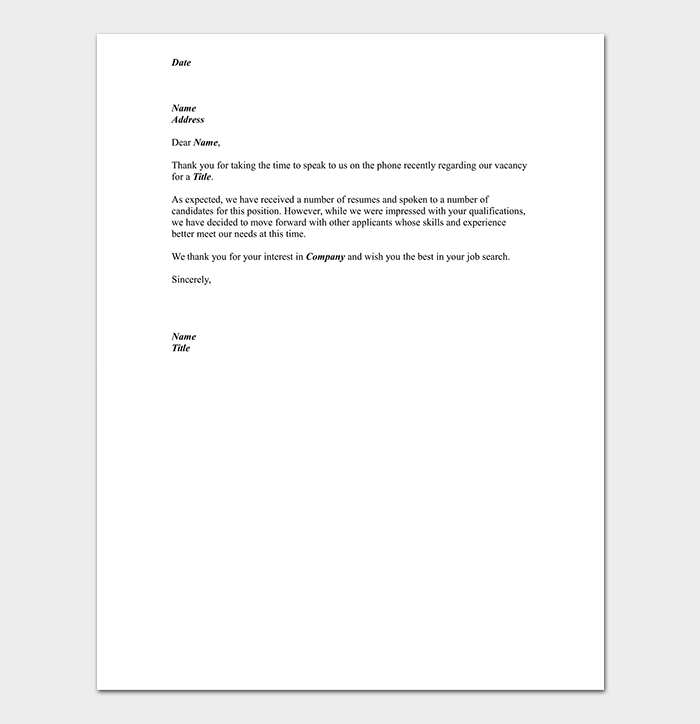 This type of letters should be politely drafted and should perhaps encourage recipients to meet certain requirements the next time they apply. 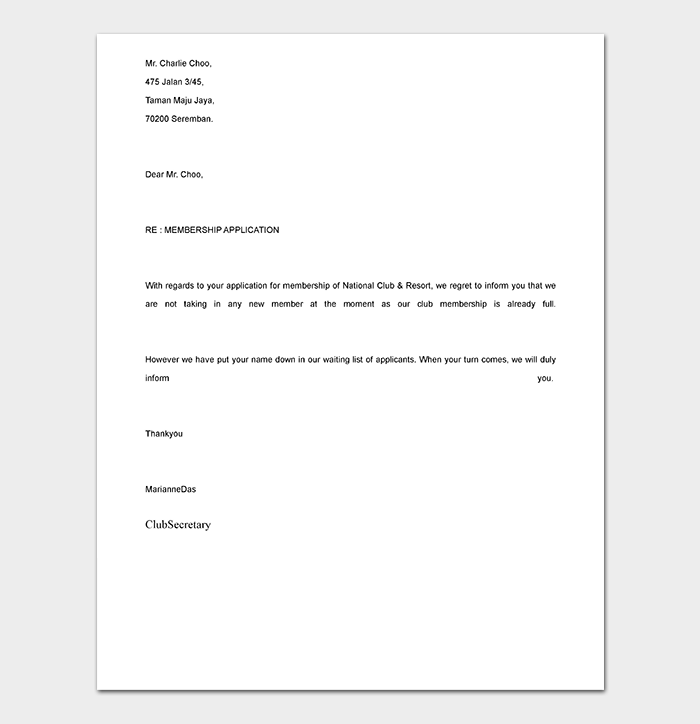 A polite rejection letter is a considerately written correspondence that is meant to pass information that an applied for opportunity or request got declined for whichever logical reasons. 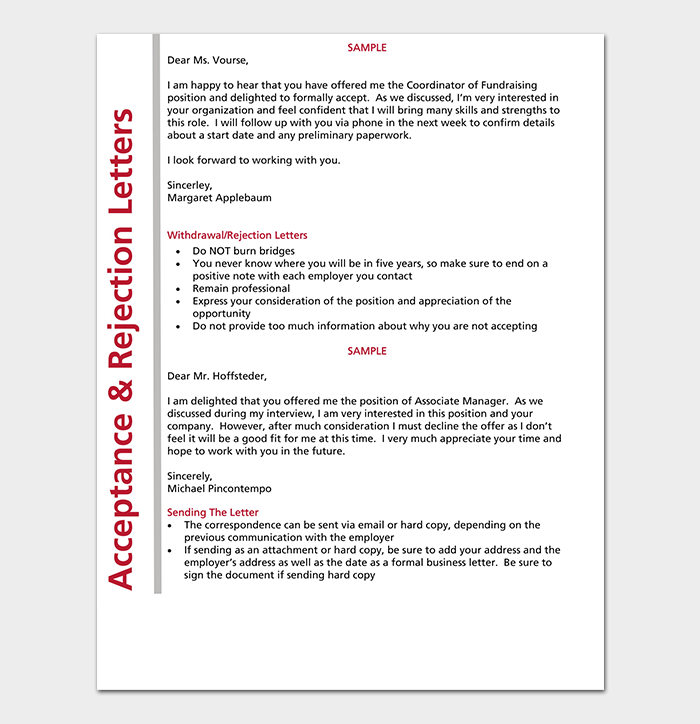 It helps users to communicate to their declined applicants in a way that does not ruin their relationship or cause bad blood and conflict. 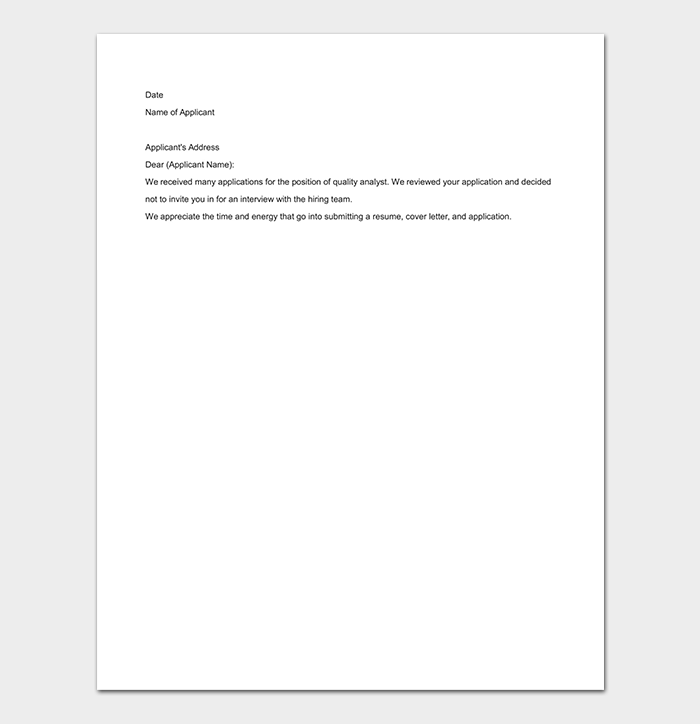 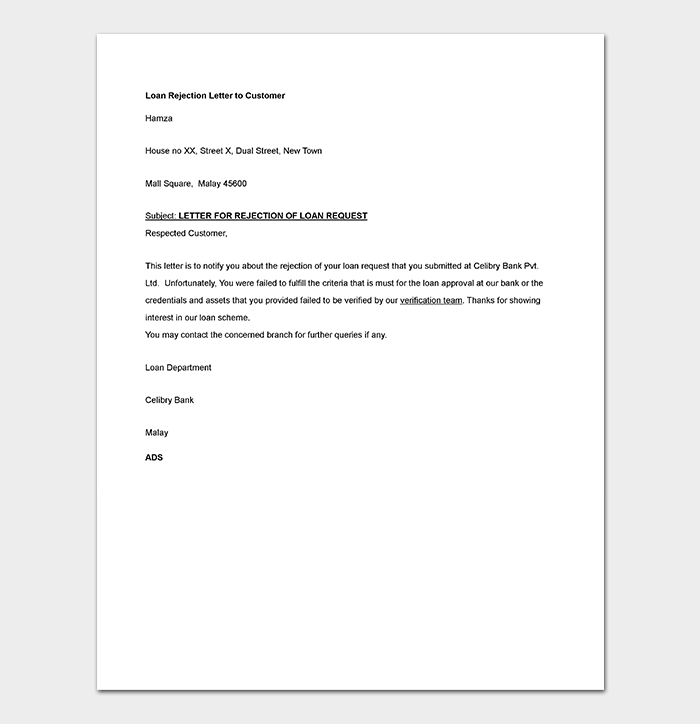 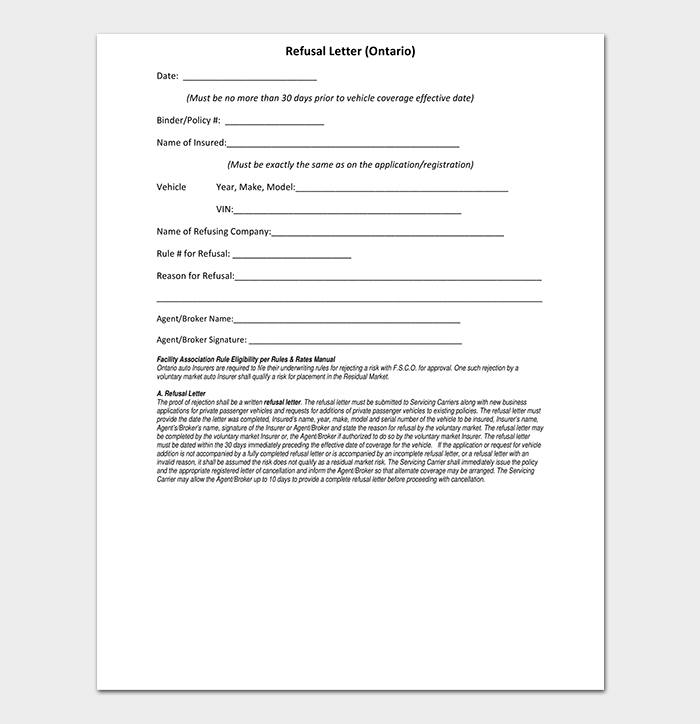 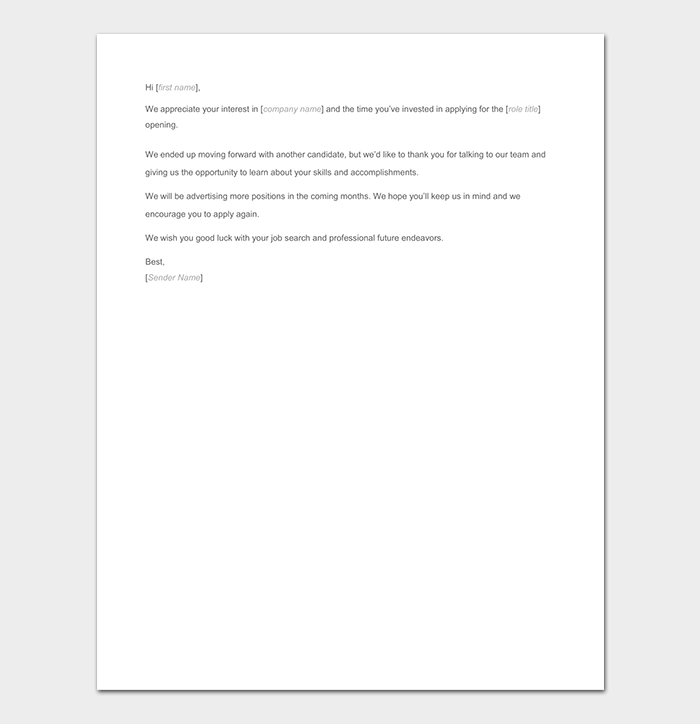 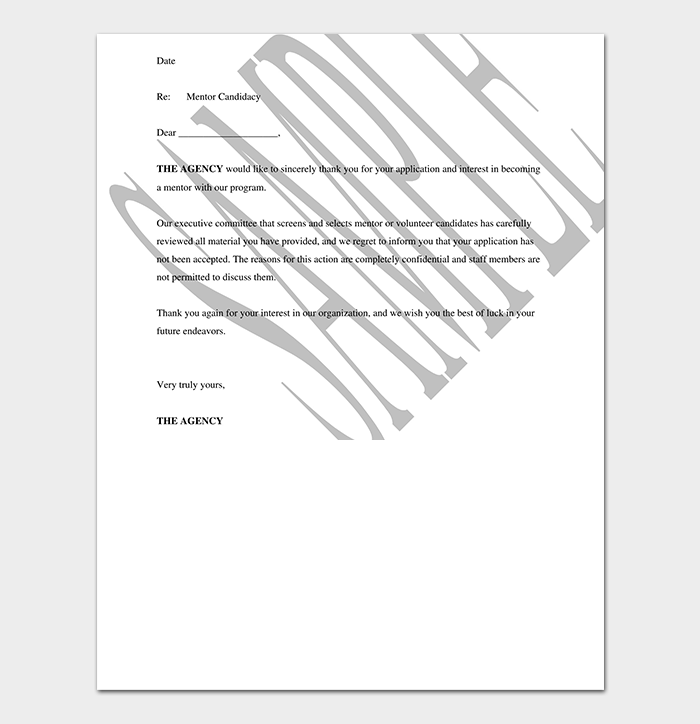 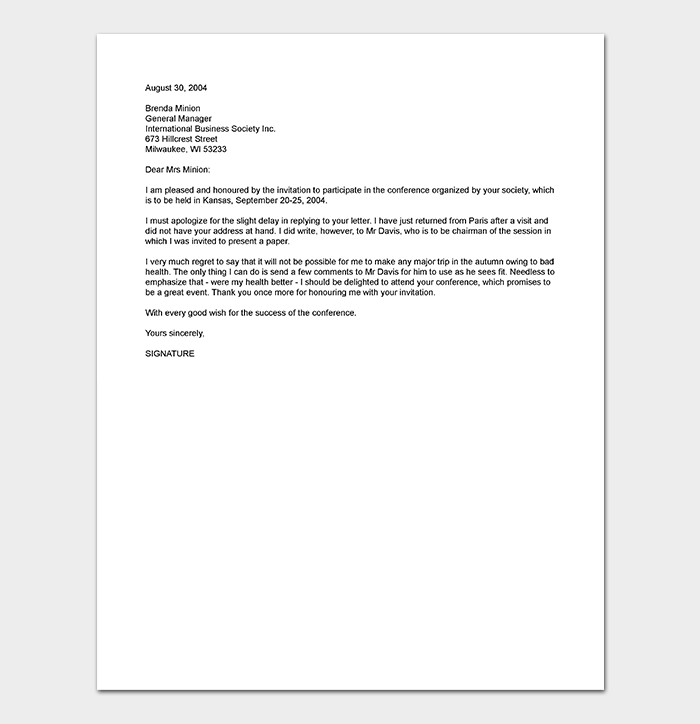 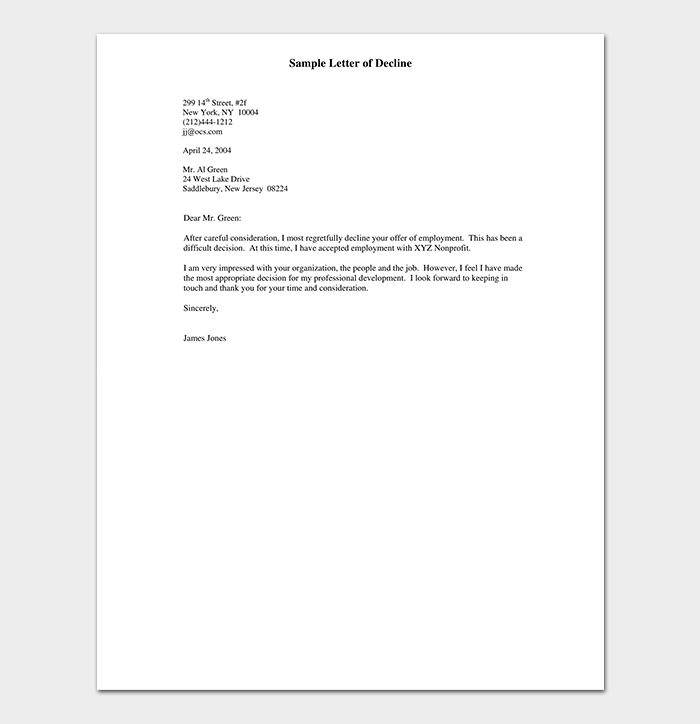 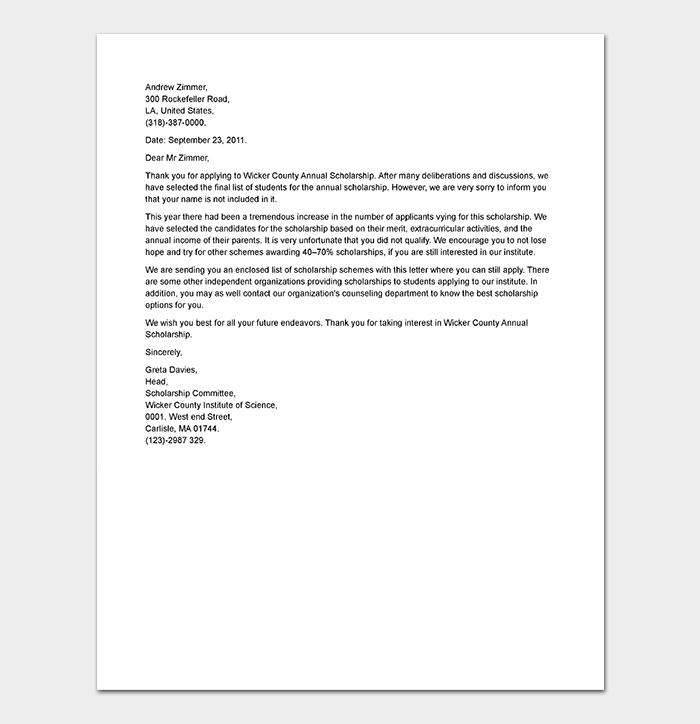 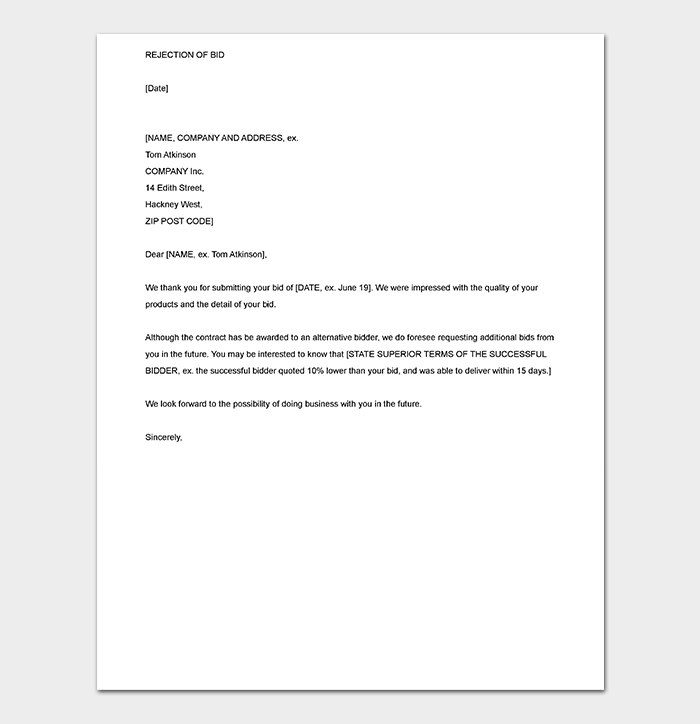 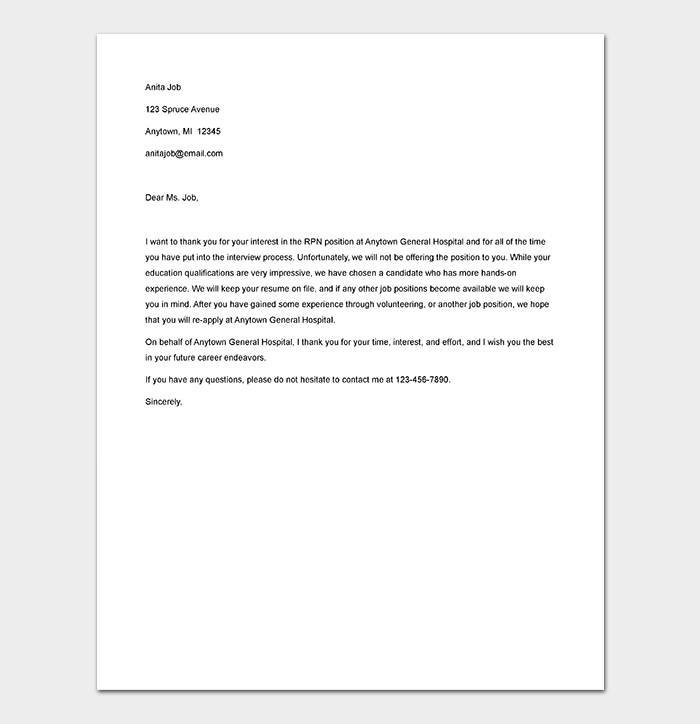 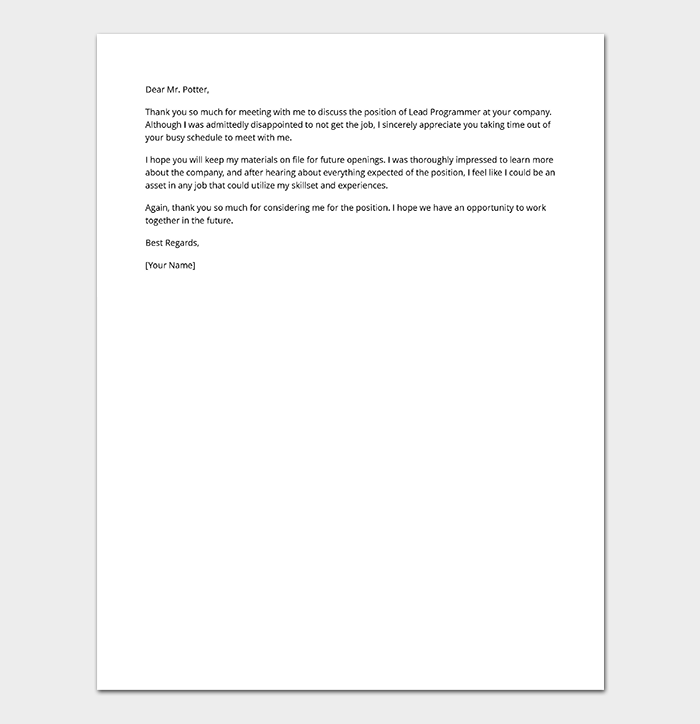 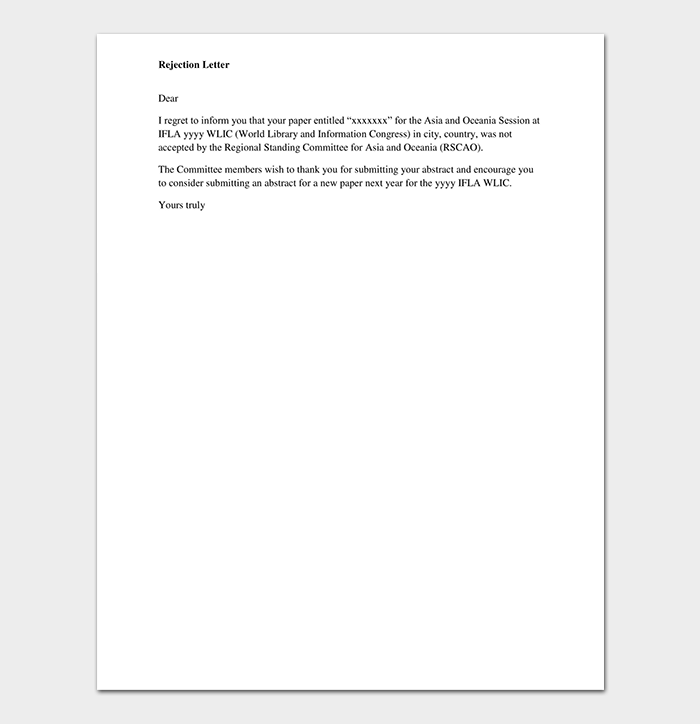 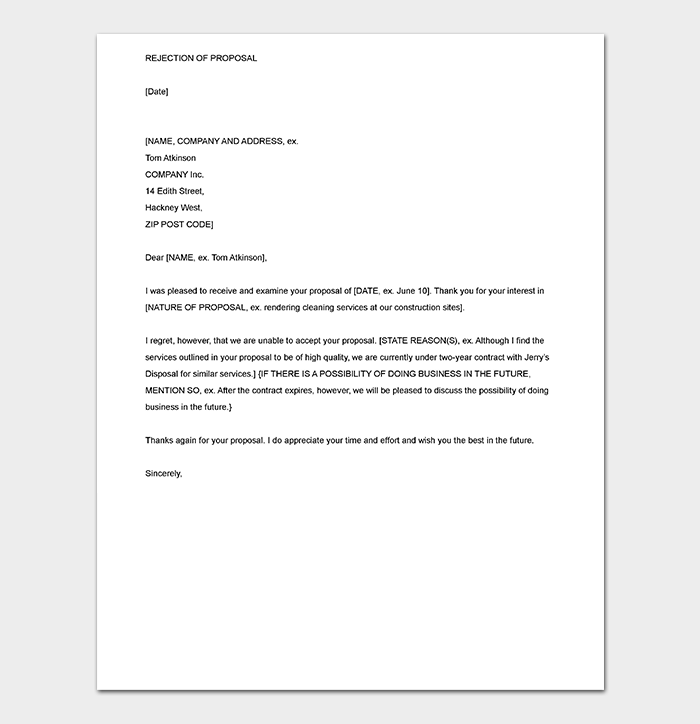 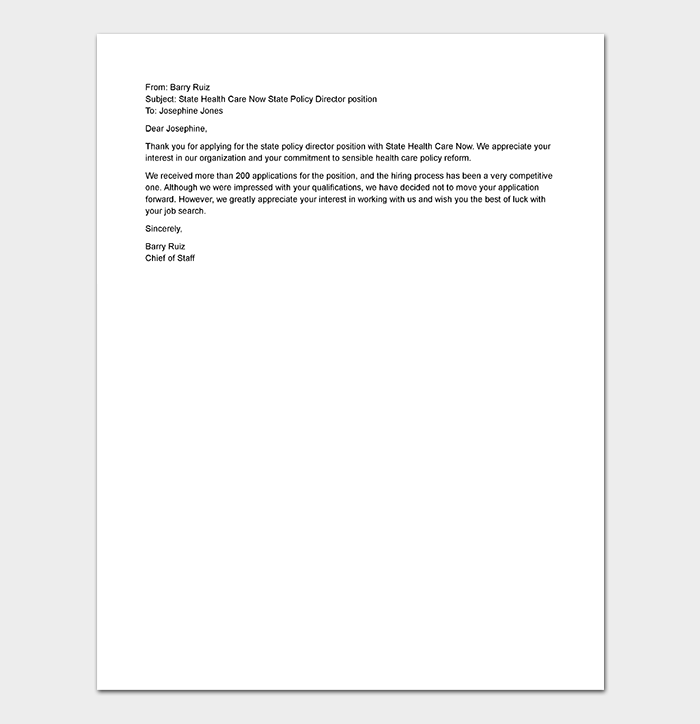 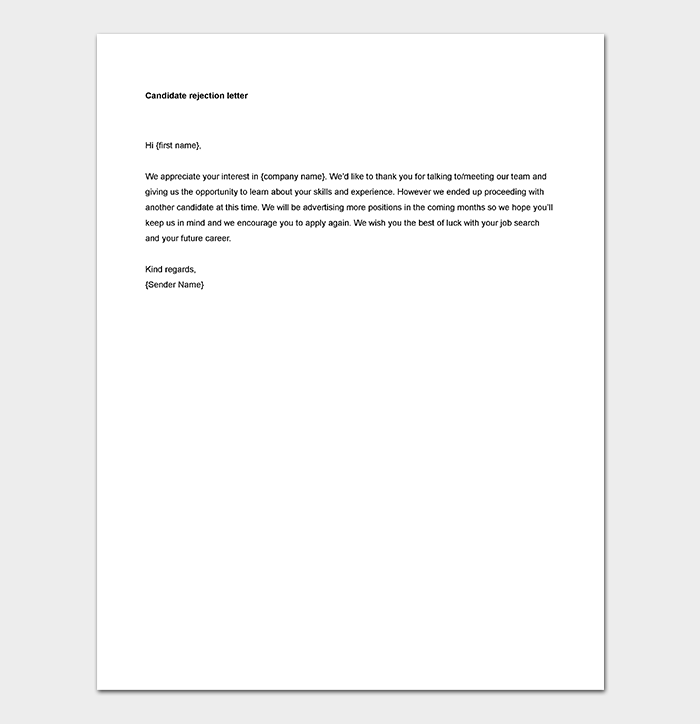 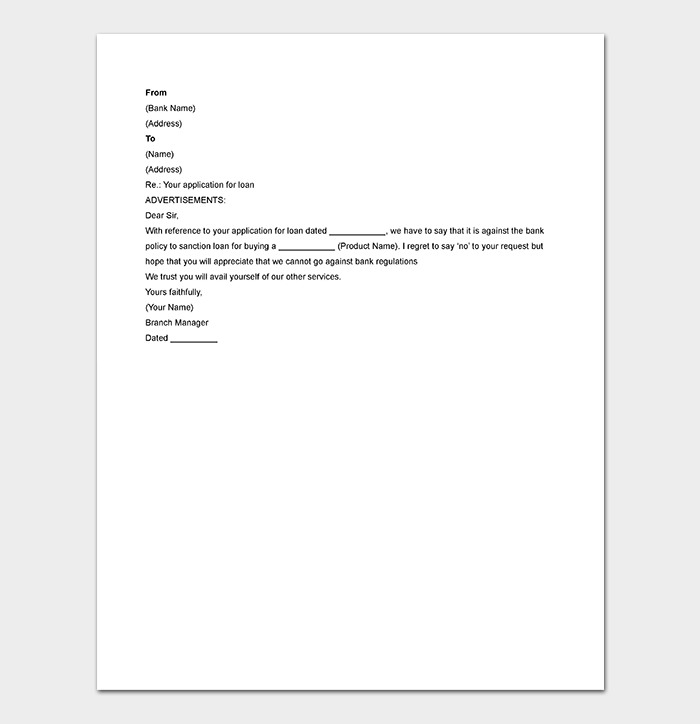 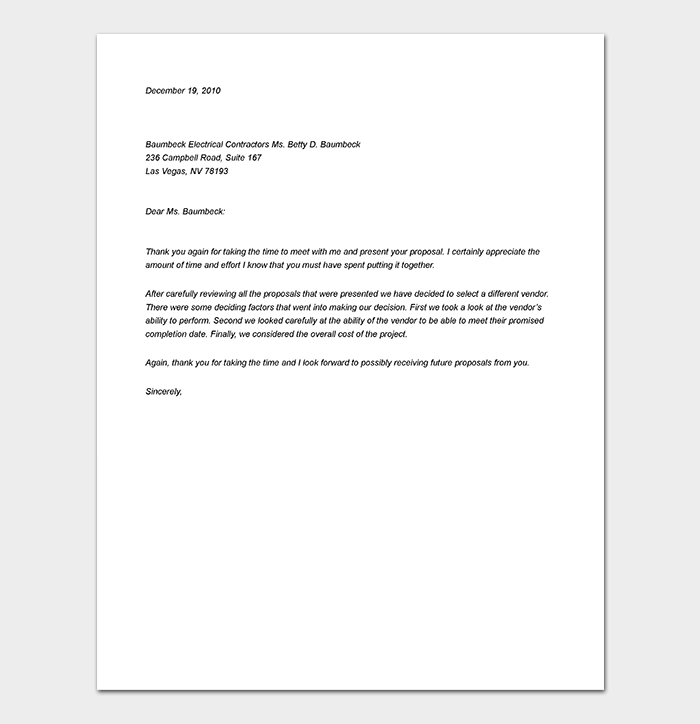 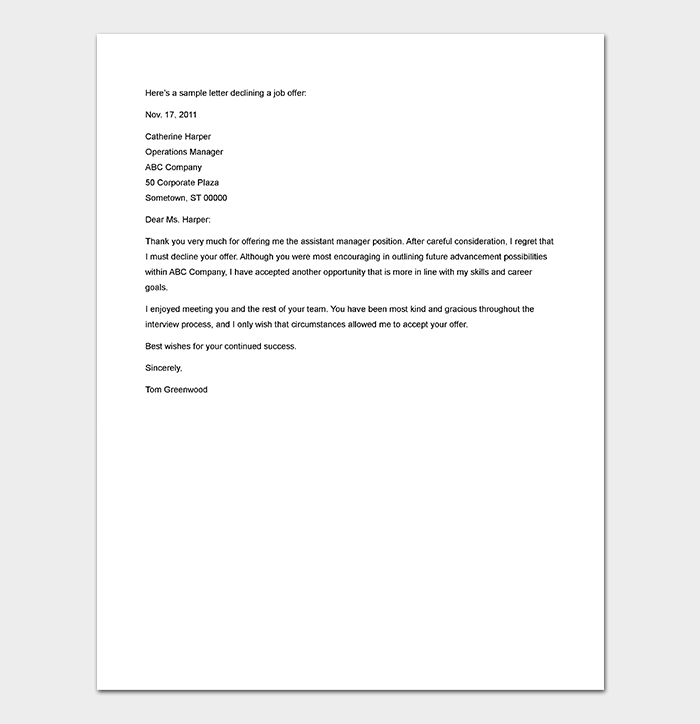 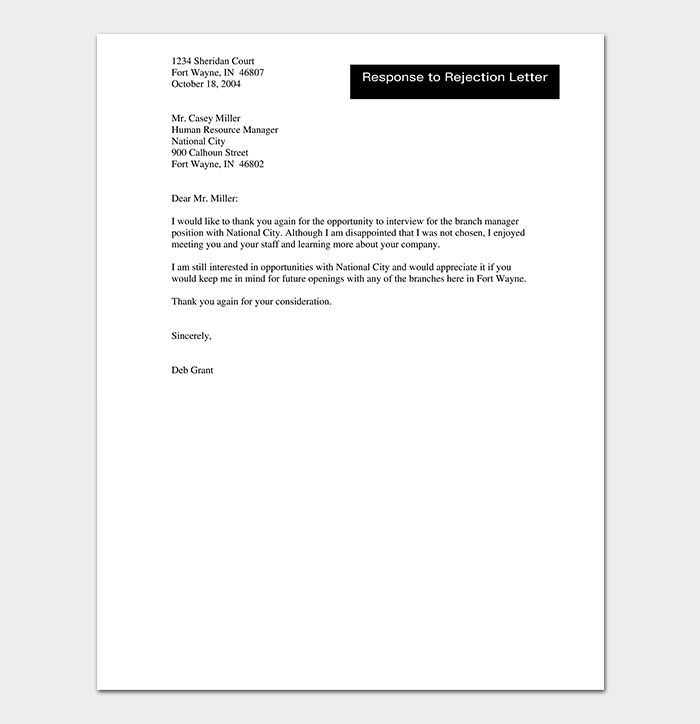 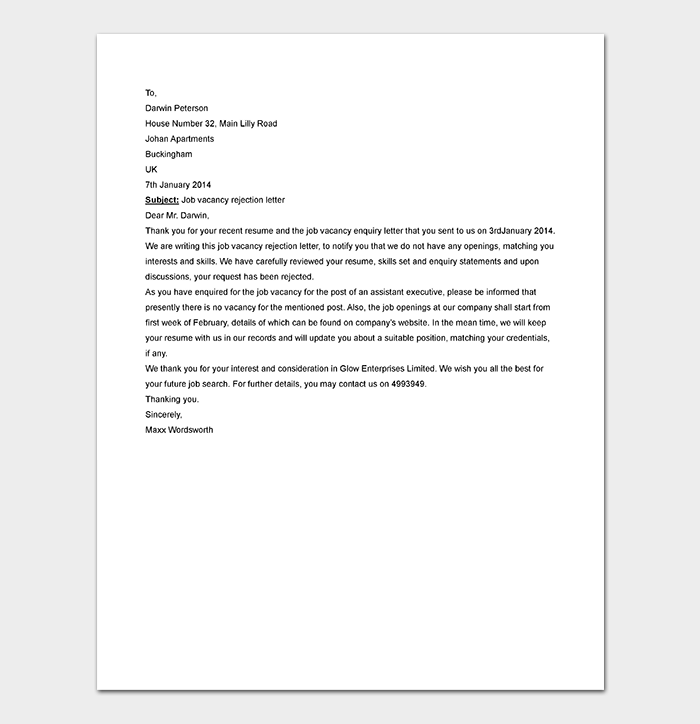 A Rejection Letter Template after Interview is a specifically designed letter plan that only requires the diversification of few personal details to different recipients informing all of them, in their total numbers, that they failed interviews in which they participated. 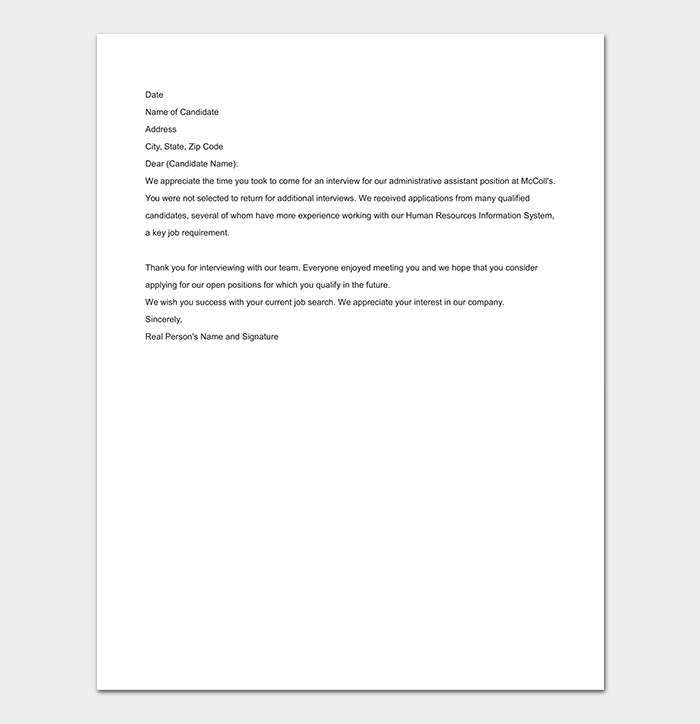 They are great for companies which invite multitudes to interview while only in search of few successful candidates. 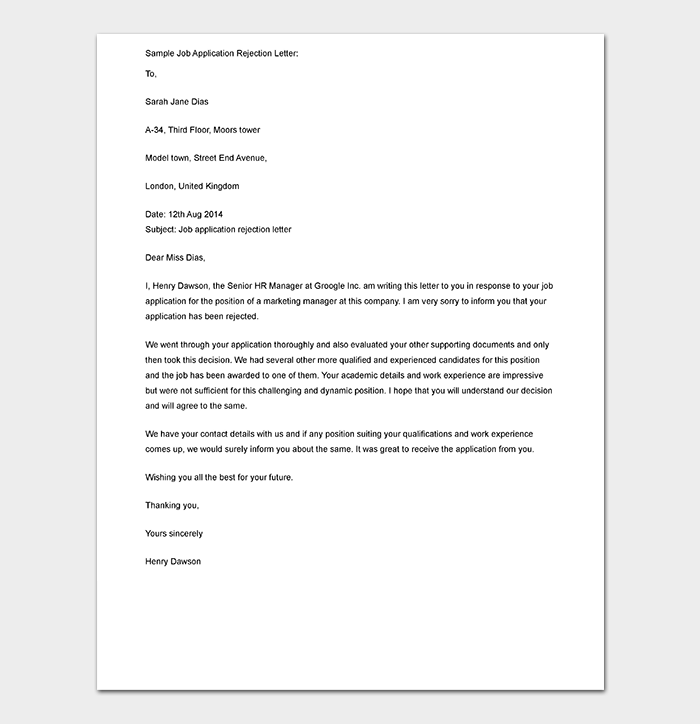 The companies must seek to maintain good rapport with their rejected applicants for the sake of future business and publicity.